Whenever I check the weather on my phone, I open up a couple of different apps, I always find it funny that none of them give exactly the same information. That being said, I don’t currently use an app like Partly Cloudy, which definitely looks like an interesting way to check the weather forecast. 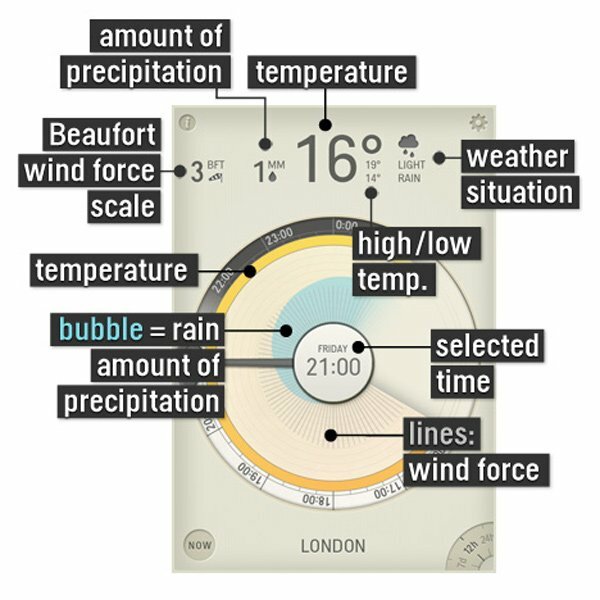 Designed by Raureif, the Partly Cloudy app runs on iOS devices, and has a unique, compelling visual infographic based on the face of a clock. Time is shown on the outer ring of the display. The second ring represents the temperature for that time. 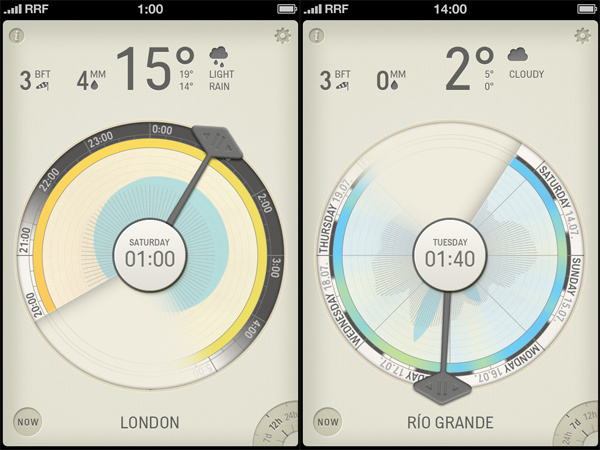 As you turn the clock’s hand, the app will show you the weather for that hour. It will also display highs and lows, wind force, the amount of precipitation and the weather situation, and includes numeric indicators as well. While there are a ton of weather apps out there, Partly Cloudy definitely has a unique and visually compelling way of displaying forecast information. 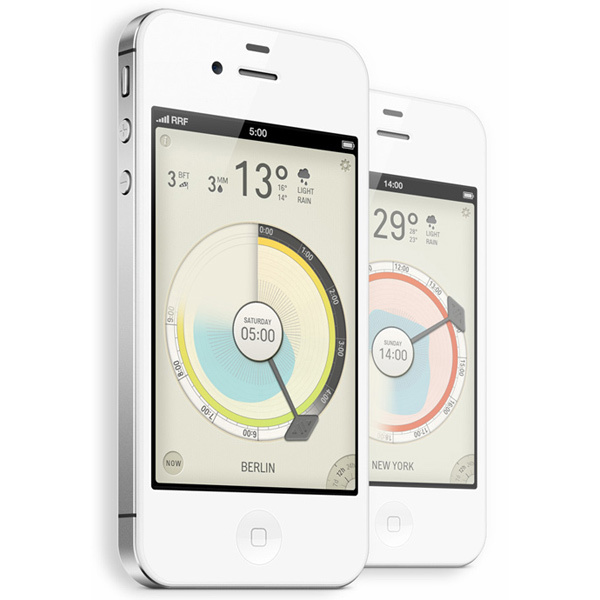 You can get the Partly Cloudy app for $0.99 at the App Store.